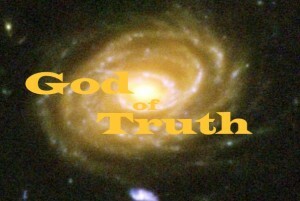 We worship God because he is the God of truth. Truth is firm, steadfast, stable. Truth is the reality; from the marvellous miniature design of our DNA to the vast expanses of the universe our God created and controls everything that is real. So do you have the hope and confidence that comes from a love of the truth and the God whose nature is true. Coming Soon: Dystopia Is the Old Covenant Obsolete?